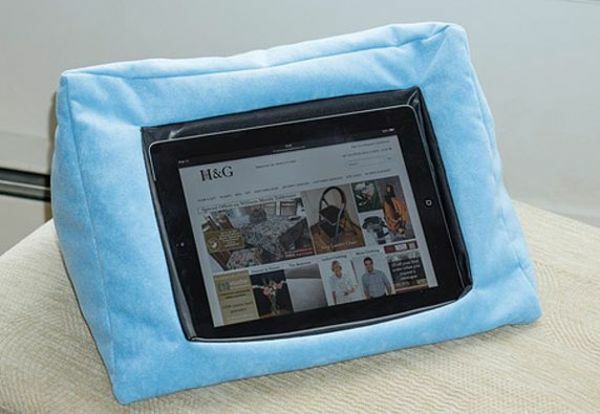 Ipad Cushion For Tablets Or Other Digital Devices. All reviews submitted will be considered for suitability before being published. Use your tablet or any other digital device in comfort with this innovative support. Non-slip surface holds the device in place while the bean bag moulds to your lap. Zip pouch for charger storage. 37cm x 26cm x 19cm. Sorry, this product currently has no reviews. Be the first to review this product!